As a scientist in the Arab world, I practise science and research everyday. The challenges are multiple and in many cases not so obvious for those in the West, who can afford to take these things for granted. The most important element for fostering research is creating an environment to encourage, support and sustain it. Firstly, such an environment can only be created if you put in the work and deal with the problems as they arise. It’s not something that you can just dream up while sitting at your desk. Secondly, to make it sustainable, management needs to be accountable for its actions. Unfortunately, this is not always the case here. Without these two elements, no money in the world will allow science to progress and develop. There is an abundance of minds and creativity in the Arab world. However, most of them drain into the West because there is a well-established support system for research. So, what is the solution? The solution is freedom; freedom of opinion, being able to come to a decision through questioning, unhindered contemplation, institutional accountability, democracy and human rights. Freedom will ultimately lead to progress and development not only in science but in all aspects of life in the Arab world. Freedom will ultimately lead to progress and development not only in science but in all aspects of life in the Arab world. Freedom of opinion starts at home, with children given the opportunity and encouragement to question, challenge and form their own opinions. This should further be fostered in schools, where teachers encourage students to ask questions. If teachers don’t have the answers, they should say so honestly and without covering up gaps in their knowledge by stifling the student. Children can learn to form their own opinions if they are taught reasoning and deduction and are granted the space to practise those skills. That is what our children need and that is what is missing in the Arab world. University students have not been able to form independent opinions reflecting their original thinking. The day my students wrote essays expressing themselves was the day they felt human. One student told me that he was finally Someone – with a capital S.
The day I listened to a student explain her opinion was the day she could give me a big smile and tell me it was the first time she felt respected. It is such individuals who build our communities and nations, who will make a difference, who will take us into the twenty-first century with confidence. How do we achieve this goal? I believe the only effective way is to instil a love of reading in our young ones, so that they can learn from other people’s experiences across time and space and see and respect other ways, other narratives, that are equally justified. I have developed a programme called We Love Reading to do that throughout the Arab world by training women to read aloud to children in their neighbourhoods. Dr. Rana Dajani teaches molecular biology and is the Director of the Center for Studies at the Hashemite University of Jordan. She is also the founder of the initiative We Love Reading, which aims to encourage children in the Arab world to read for pleasure. 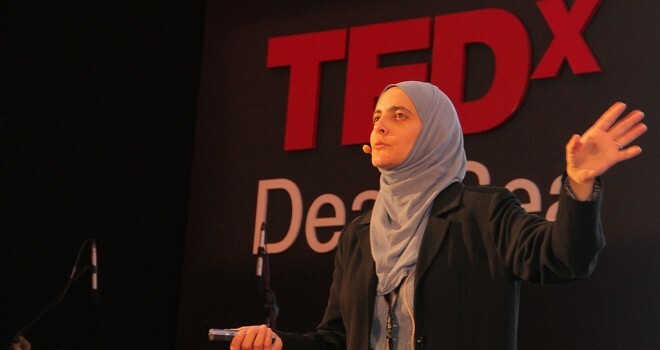 Dr Rana Dajani, who took part in the Belief in Dialogue conference on 21-23 June, blogs about what’s needed for science to flourish. The conference was organised by the British Council in partnership with the American University of Sharjah and in association with the International Society of Science and Religion.